Congestion is the worst. Here are some home remedies for DIY expectorants and decongestants to clear even the most irritating of symptoms. In a pot, bring lemon juice and apple cider vinegar to a gentle simmer. Stir in honey, cayenne, and ginger. You can play with the amounts to fit your personal taste preferences. Pour the contents into a jar and store in a cool, dark, place. 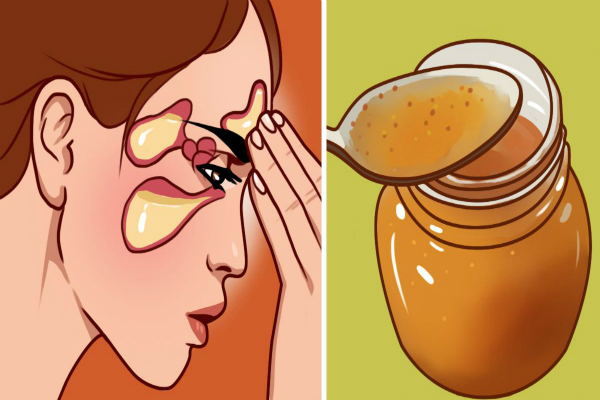 To use this home remedy, shake well and then drink 1- 2 tablespoons daily. You can also warm the solution before drinking. Simply combine ingredients and refrigerate for up to six weeks. When needed, drink 1/2- 1 tablespoon to expel mucus and relieve cough. -1/4 cup freshly squeezed lemon juice. Before you close the book on this exotic-sounding recipe, know that all of these ingredients are easily accessible at your neighborhood health foods story and even at some pharmacies. In a saucepan, combine water and herbs. Bring to a boil and reduce to a simmer for 20 minutes. Remove from heat and strain herbs, squeezing to release the liquid. Combine the herbal liquid with honey and lemon juice. Allow to cool and then store in the fridge for up toe six weeks. When using, drink 1/2- 1 tablespoon every half hour. Cut radishes and onions into small pieces. Blend until smooth. Add honey and lemon and blend once more. Pour into a jar and refrigerate for up to 1 week. To use, drink 1- 2 tablespoons twice daily to expel mucus within 24 hours. You can add more honey and lemon to mask the harsher tastes. To make a home remedy vapor rub, whip Shea butter and coconut oil for 30 seconds. Add essential ingredients and continue whipping until well-mixed. Transfer to a glass jar with a tight-lid. When you feel especially congested, rub a small bit of the vapor rub into the back and chest. You can also mix the solution with hot water and inhale the steam to dislodge a clogged nose.